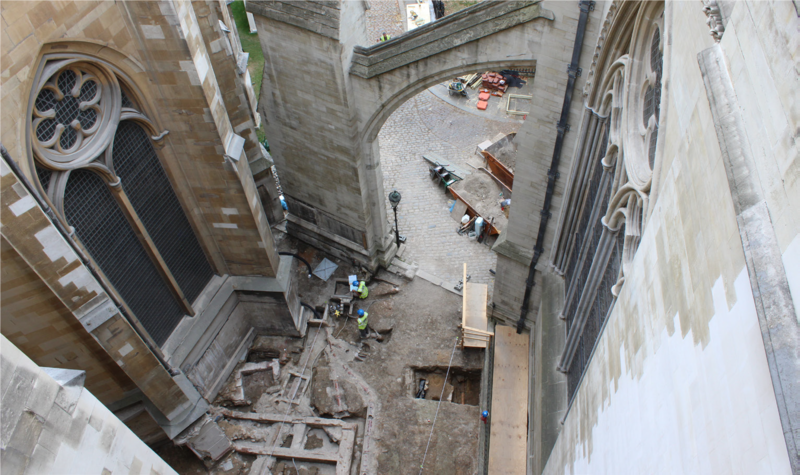 PCA was commissioned to undertake archaeological work in advance of the construction of a new access tower, located in Poets’ Corner Yard between the Scheduled Chapter House and ambulatory chapels at Westminster Abbey. The structure, completed in 2018, provides visitor access to the Queen’s Diamond Jubilee Triforium Galleries, which have been fully refurbished to provide museum space. Continuing our long-standing relationship with Westminster Abbey, we completed an initial evaluation of the area followed by full mitigation work in advance of foundation construction. The fieldwork has demonstrated that the south transept and ambulatory foundations were constructed in three stages in the 1240s under Henry III. The abbey church was constructed on a huge raft edged with reused stone, mostly derived from Edward the Confessor’s church which was levelled to build the extended abbey, and infilled with medieval concrete (limecrete). Within the excavation, several intact burials were found, some dating from the later Saxon era. In addition, two later buildings adjoined the ambulatory and it appears one replaced the other and survived into the late 18th/early 19th century. Extensive watching briefs conducted during associated development groundworks revealed numerous medieval and post-medieval graves, including an anthropoid lead coffin believed to be one of the earliest examples of its type found in British Isles. PCA also undertook archaeological work in the Triforium Galleries in the roof space of the abbey. An initial survey saw the recording of graffiti left by various masons and carpenters; the most interesting of these were marks left by masons working for Christopher Wren, Surveyor of the Fabric at the Abbey from 1698-1723. PCA’s team also completed an unprecedented process of finds recovery through 3000 rubble sacks of dust which was recovered from the roof space at the Triforium level. 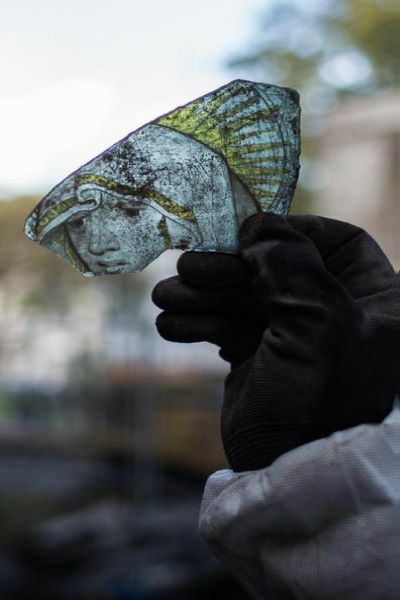 The work has revealed a significant assemblage of finds and memorabilia relating to life at the abbey: some of the more mundane items were likely to have been left by craftsmen working for Christopher Wren. However the work also yielded incredible finds such as fragments of tickets to the coronation of Queen Anne in 1702, plus 17th century tobacco wrappers. The award winning Queen’s Diamond Jubilee Galleries, designed by Ptolemy Dean Architects, were opened by Her Majesty The Queen in June 2018. In 2010 PCA undertook the excavation of a former Quaker burial ground on Coach Lane, North Shields, Tyne and Wear, used from 1771 until the late 1820s, prior to the construction of houses on the site. This plot of land had been preserved as an open space in the increasingly urbanized surrounding landscape as it was converted into a public park in the early twentieth century. This presented an unusual opportunity to excavate a burial ground in its entirety, coupled with the unique chance to study the burial traditions of a non-conformist population in the region. One of the risks when excavating inhumations is the possibility of encountering multiple in-situ burials which could potentially cause delays to the programme. To mitigate the risk of delay to this project PCA was able to provide sufficient numbers of professional archaeologists to record and excavate the burials. Our experience of similar projects meant that we were able to quickly and efficiently record and remove the inhumations so that delays were kept to a minimum. Detailed specialist analysis of the 244 skeletons, coffin furniture and coffin timbers was undertaken along with documentary research, the results published in a PCA monograph in 2016. The skeletal population displayed some evidence of the effects of living in an industrialised environment, and diseases including rickets and tuberculosis were identified. In keeping with Quaker traditions, the coffin furniture was generally plain and austere. Lid hinges, which are rare, were unusually frequent at Coach Lane; these would have allowed the face and upper torso of the deceased to be viewed. There were a few exceptions to the accepted doctrine of simple burial, such as the ornate gold cufflinks one woman was buried with. 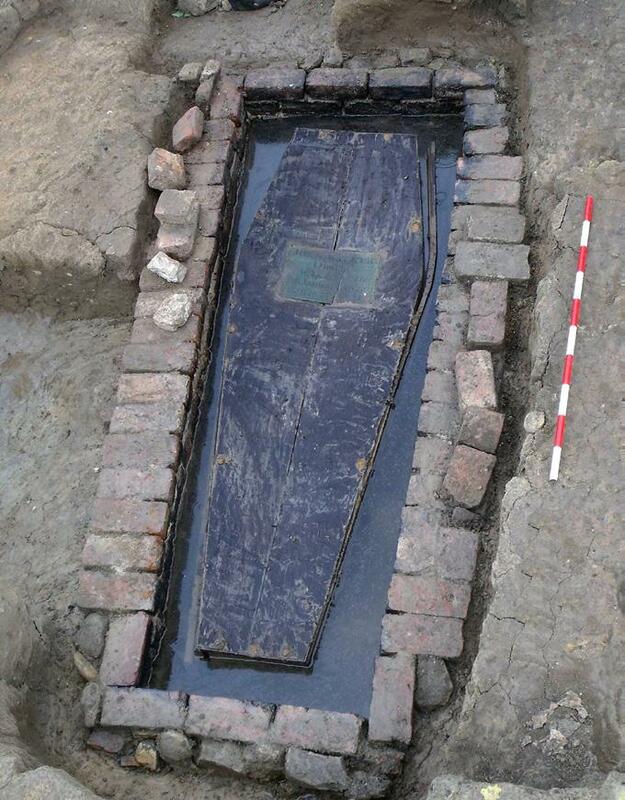 Wealthy ship-owner John Walker (no longer a member of the Society of Friends at the time of his death) was buried in an elaborate triple-lined grave comprising an inner lead coffin with timber casing interred within a brick walled grave. The burial register, although not comprehensive, did provide the names of nearly 200 individuals buried at Coach Lane. Detailed documentary research was carried out on four families buried at the site who were influential members of the Society and played pivotal roles in the history of North Shields and the wider region.